Everything that you need to know about working with Integrity! Click the button below to download our welcome guide to working an amazon assignment through Integrity! How do I enroll in benefits? Integrity Staffing Solution’s Open Enrollment period will run from March 10th - March 24th. You will receive email communications with instructions on how to complete your benefit application either through the online portal or the call center. All employees will automatically be enrolled in single coverage for the Minimum Essential Coverage Plus medical plan. Please note, if you wish to waive coverage, enroll in an alternative plan, or include dependents in your coverage, you must take action. Integrity Staffing offers supplemental health and welfare coverage to all of our associates. Associates are eligible after working eight hours on their first assignment. If you are interested and would like to apply or would like information about your current benefits plan, you may download the PDF below with all associate benefit information. Additionally if you have any questions please feel free to contact benefits@integritystaffing.com. I need to obtain an employment verification. Employment and Income verifications can be processed by visiting https://verify.thomas-and-company.com. If the business or agency requesting the verification does not have the ability to utilize Thomas and Company, the verification form may be faxed to 302-661-8779 or emailed to VOE@integritystaffing.com. If you are prompted for a code, please be sure to use "ISS672". Please allow up to 2 business days for these requests to be completed. You may also print your own verification of pay/employment by logging onto the Employee Portal and clicking the "Employment Verification" button at the top of the screen. Your wages will be available on payday on your Aline paycard. Please note, you cannot activate your card until your first payday. Integrity associates working at Amazon.com should be prepared to work on both the Thanksgiving and Christmas holidays should Amazon's business require it. As these days' approach, specific details will be communicated. The Integrity Ethics Hotline (IEH) is a Completely CONFIDENTIAL channel for reporting serious concerns and complains and for bringing the Company's attention to activity that you think violates Integrity's code of conduct or the law. 1.) Reaching out to your HR or Ops Team at the location where you work. 2.) Contacting Integrity Corporate HR or Employee Relations for assistance by Telephone at (302) 504-9886 or by sending an email to ER@integritystaffing.com. 3.) 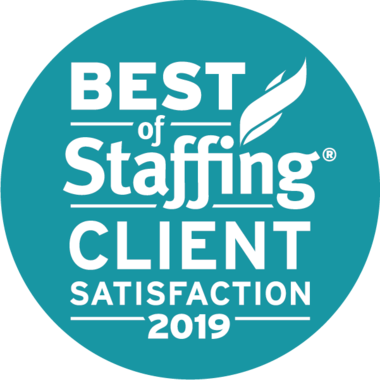 If either of these outlets do not get the results you need, OR you want to report something ANONYMOUSLY, then file a report using the IEH: by telephone call: (833) 520-0055 OR report online: www.IEH.Integritystaffing.com. Whether you report issues anonymously or directly, be assured no retaliation will be tolerated because you report offending or unlawful behavior. The IEH telephone report line and online portal are not part of any Integrity network so your phone number or email address cannot be traced by Integrity. What is my regular work schedule? In order to help you, an agent will need to chat with you now. Please click on the live chat in the corner. How many attendance points do I have? I would like to update my availability status OR "Call in available". I have a question in regards to the number of hours on my pay check. What is the approved time off policy? We appreciate that life gets crazy and that you have other important responsibilities. We understand. This is why on your 21st day of work, we will give you 40 hours of approved time off and 5 late passes. Use that time as you wish. Please note that you must use the ATO (approved time off) in ½ shift or full shift increments. Please also let us know that you plan to use your ATO to cover an absence (either when you call out or in advance). If you would like to use your approved time off, please visit the Integrity on-site office. I am going to be late for my shift or I am going to call out for my shift today. In order to help you, an agent will need to chat with you now. Please click on the live chat in the corner to begin. How can I complete an application? CLICK HERE to view and apply to the positions in your area! I would like copies of my W2 form or pay statements. Your User Name is your last name plus the last 4 digits of your social security number. Unless you have already logged into the portal in the past, your Password will be the last 6 digits of your social security number. To see a list of our office locations please click here. Is my shift scheduled for Overtime? If your respective site is not listed, please reach out to an Integrity representative for assistance. To enroll in direct deposit, you must log into your Employee Portal at www.integrityworkforce.net. Your user name is your last name and the last four of your social security number. Your password is the last six of your social security number. Once you have logged in, click the link icon at the top of the screen and choose "Request Direct Deposit". Follow the instructions and click finish. If your direct deposit information is entered by 3:00 pm on a Tuesday, your current week’s pay will be in your indicated account on Friday . If your information is entered after 3:00 pm on a Tuesday, your current week’s pay will be on the Aline Pay Card. Since the cutoff was missed, your direct deposit will not begin until the following Friday. Please CLICK HERE in order to see a step-by-step guide on how to sign up. CLICK HERE to go to the employee portal. What if I need a job accommodation? Integrity Staffing Solutions complies with the Americans with Disabilities Act, the ADAAA and applicable state and local laws prohibiting discrimination in employment based on a person’s physical, mental or sensory disability. If you have a disability that affects your ability to perform your job and you feel you need an accommodation, please contact your Integrity manager, Integrity HR Team Member, or Integrity Safety Team Member. You can also inform us during your interview. Integrity Staffing Solutions has an interactive process in which we work with you to determine if a reasonable accommodation is necessary and what would be an appropriate accommodation.